I’ve been an avid reader of Pokemon Go Hub’s articles for quite a while now; the Hub has been my main source of in-game news and developments. I’ve enjoyed reading virtually everything that has been posted, especially the guides that showcase specific areas of the world. But after a little bit of searching around, I realized that a perspective from a college (or university) student playing the game is missing. As a college student, I hope to convey a perspective and some advice that is different from other articles written here. The vast majority of my experience, along with my high CP and/or high IV Pokemon, have been earned on or around campus since the game came out in 2016. I discovered that Discord existed during summer 2017 – I was a little late. However, being a student has its advantages. I don’t want to bore you with information about things you already know. The prevalence, relevance, and significance of using Discord alongside Pokemon Go is unbelievably important, as I believe the PoGo game community wouldn’t be as vibrant as it is without it. Thus, I won’t go too much into outof-game details. That being said, there are a number of important advantages I have a student, and I hope to share with you so that you can not only understand the experiences of playing PoGo while simultaneously studying but also be a positive influence on the playing community around you. My college campus is very small – campus itself has an area of about 0.15 square miles, or 0.39 square kilometers. Yet within that small space are around 25 Pokestops and 5 Gyms, two of which were converted from Pokestops in the gym rework during summer 2017. The benefit of this is that I know exactly where each and every stop, gym, and spawn point is on campus. I have memorized the location of every point of interest on campus is along with its in-game name – it greatly reduces the amount of time it takes me to find that rare spawn or attend that legendary raid. Because I live on campus, I can (in game) see the spires of all five gyms from my living room. 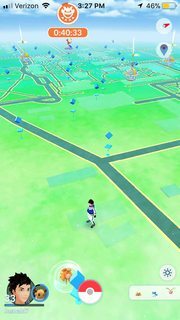 I also can see two more gyms that are within walking distance of campus. 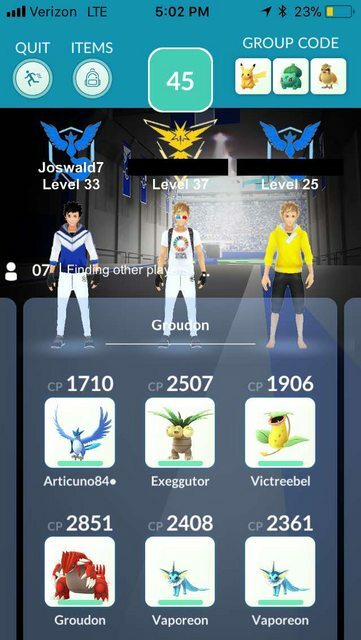 I see myself, then, similar to a messenger alerting my local Discord group to raids that are hopefully of interest (mostly legendaries such as Groudon, although we have done a few Tyranitar raids also). Even if there is little to no response, I try to be an accurate reporter of raids that are available. Discord is especially helpful here. There are very few active players on campus (unfortunately). However, I make sure that I can contact them via text or direct message rather quickly. If you live with someone who plays (like I do), then that’s even better. But in order to take down that Groudon, you also need to rely on local players to appear. The only reason why I’ve had success is because I’ve noted, memorized, and associated the Discord usernames of both on-campus and local players with real people – I definitely wouldn’t have as many legendaries as I do if it weren’t for them. My campus is located less than ten-minutes’ walking distance from a small, vibrant downtown area. I have raided at almost all of the available locations in that area. I don’t have an available method of transportation, otherwise I could potentially go to locations that were a bit further out. I’ve set a small walking radius around campus, because I know that I can’t just do more and more raids and suddenly find myself a long way from campus. The distance walking to downtown is also helpful for hatching eggs! Most stops on campus are easily accessible within campus buildings. While working on that big project, find one of your favorite study spots and lure up as many stops as you can from where you’re sitting. Use the time not only to study but also to keep an eye on anything interesting that appears – including Discord notifications. The Go Plus or Go-tcha accessory is also handy here. So, although my campus is small, I connect my Go Plus before I leave for classes and other activities in the morning. The distance covered while walking between buildings adds up pretty quickly, and it certainly saves you from walking into your fellow students in your student center. These are just a few of the tips and tricks that I’ve used while playing on campus. While it’s not a comprehensive list, I think that this is a good start for any current or new college student and PoGo player. Good luck hunting! The post A College Student’s Pokemon Go Experience appeared first on Pokemon GO Hub.